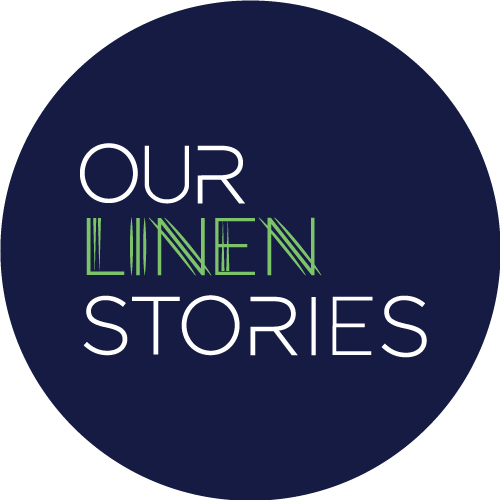 Opening daily from 10.30am to 4pm Thursday 6th to Sunday 9th September, we welcome you to Our Linen Stories Kirkcaldy, exploring stories from Fife from our centre in The Merchants House, Law’s Close at the harbour end of the High Street. 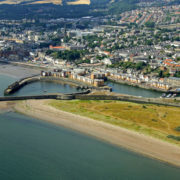 Kirkcaldy was once Scotland’s second biggest Port after Leith. 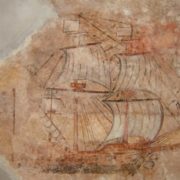 Our new exhibition theme at this former shipping merchants house is ‘Trade Routes: Sales, Sails and Shipping Lanes’ reflecting on the part that linen and flax played in Scotland and elsewhere in forming the Wealth of Nations. 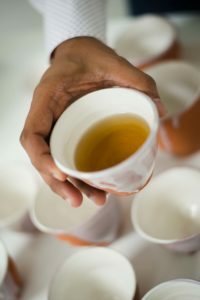 Artist Designer Lorna Brown tells us her Linen Story 2-3pm Saturday 8th July and everyone is welcome to our Fife Reception on Sunday 9th at noon to be followed by the inauguration of a new Walks by Design in Kirkcaldy called Linen and The Lang Toun. Lorna’s Linen Story begins with her childhood in Spittalfield, a weavers village in Perthshire established to support the linen trade. 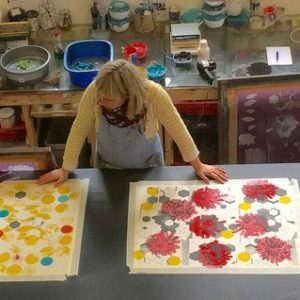 Through a creative career based in Edinburgh, Lorna’s work in printed textiles currently includes use of Scottish Linen from the country’s only surviving manufacturer in Kirkcaldy. Lorna joins us to offer reflections on this journey in design and practice. Our Linen Stories Kirkcaldy is proud to partner with Scottish Historic Buildings Trust and the Scottish Civic Trust for Doors Open Day on Sunday 9 September. 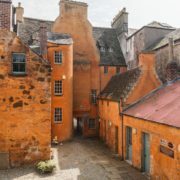 As part of our Exhibition events programme at the Merchants House, Law’s Close, we invite you to join us for a brief Curators Talk at Noon, helping us mark our exploration of the Flax Fields of Fife. An active centre of creativity and learning, Kirkcaldy was once Scotland’s biggest port after Leith and central to Our Linen Stories; it is now home to Scotland’s only surviving Linen Manufacturer. Come and help us plot a stroll through the Lang Toun, sharing Our Linen Stories and learning about the town’s impact near and far. 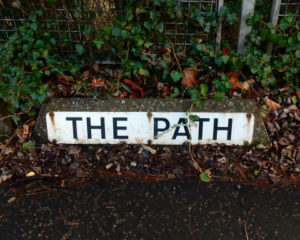 For our inaugural walk we will be joined by Murdo Eason of The Fife Psychogeographical Collective, author of From Hill to Sea, who will mark the walk with reflections in word and image.